Teenagers’ growth is so rapid that it dramatically challenges their sense of balance. They need to build up strength, endurance and speed. Opportunities to meet and move are crucial to teenagers, not least because physical activity seems to be declining in this age group. Statistics show an alarming growth in the number of teens suffering from obesity. 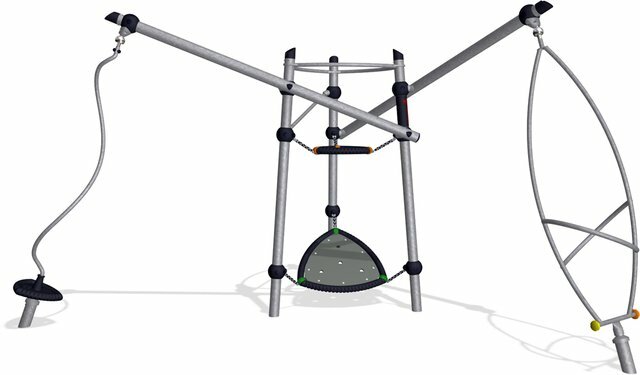 Teenagers say their favorite activities in play spaces are swings, climbing equipment, trim trails and ball game pitches. Activities that are challenging and that seem somewhat daring are the most popular. Teenage girls tend to prefer less vigorous activities such as spinning, swings and equipment rather than ball games. During teenage years, social interaction with peers becomes more important than ever. Teenagers need to be with and make new friends, preferably in large groups. This is essential when designing for them.